The report of the 19th National Congress of the Communist Party of China (CPC) states: “The principal contradiction in our society in the new era has been transformed into the contradiction between the people’s growing need for a better life and unbalanced and inadequate development.” The key measure to solve this contradiction is to change China’s welfare system from a residual type to one that is based on the principle of moderate universalism. 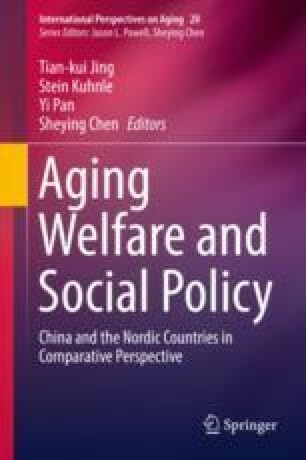 The current social welfare system of China is mainly social security, which focuses on social insurances and social assistance. The system has certain problems such as narrow coverage, gaps between the rich and the poor, and between regions, which cannot meet the growing needs of the people. A moderate universal welfare system requires, to meet the needs of the people, extending the coverage of social security from only a portion of the population to all citizens; extending service objectives from only disadvantaged groups to all the people; in welfare programs, extending from economic security to provision of basic social services; and in terms of quality of life, the basic income security should be extended to people for enjoying a decent and dignified life.